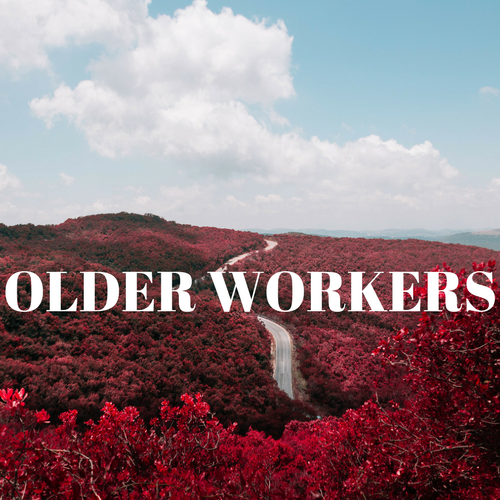 Older Workers Don't Want To Retire, May Consider New Industries | Challenger, Gray & Christmas, Inc. However, the majority will continue working simply because they still have the desire to be part of a team. After spending 25 or 30 years in the workplace, the thought of spending the next 20 or 30 years not working may seem ludicrous. The most difficult aspect of staying in the workplace for some Baby Boomers may be the prospect of staying in their current occupation. It is not uncommon for managers and executives in their mid- to late-60s who have spent their careers in one field to desire a change, but some are afraid to try something new. Some end up retiring early only to end up missing the workplace and attempting to make a comeback a couple of years later. However, at that point they will likely find it difficult to break back into the workforce with such a long absence. Perhaps the fear of change comes from the misconception that the change must be dramatic. However, all that is really needed in most situations is a change of scenery. With so many years of experience, such a change is entirely possible. It is important at this point that the distinction be made between changing industries and changing careers. Making a career change becomes much more difficult later in one’s career. It would likely require substantial training, even going back to school, and once the basic skills are obtained one is entering the new career on or near the bottom rung, at entry level pay. Career changers often sacrifice anywhere from 20 to 50 percent of their previous salary. It can take several years to get back to the pre-career-switch salary. For this reason, we advise those who desire a “change of scenery” to consider switching industries, using their core skills and experience as the foundation. Many do not realize how such a change can make a difference in one’s career happiness, but in the end they find changing industries to be very rewarding -- both emotionally and financially. What becomes the most challenging aspect of industry switching for some people is evaluating their experience from a functional standpoint. It is easy to pigeonhole yourself into a limited field based on your years of service in one industry. It gets to the point where people identify more with the industry than with the occupation. Once people break out of this mold, they begin to see that there is a much broader range of opportunities that open up, because virtually any functional skill is transferable among a vast number of industries. For example, a stockbroker is essentially and functionally a salesperson. A stockbroker does not have to limit his or her job prospecting to financial services because sales skills are in demand throughout business and industry. In another example, librarians often possess exceptional organizational and research skills. These functions are sought after in many industries including medical research firms, law offices, advertising agencies and large corporations where organizing information is becoming increasingly important. Of course, some degree of adjustment and reorientation is required when one changes industries but there should be no insurmountable problems. mid- to late-50s, have likely spent a fair amount of time in activities outside of their primary occupation. For example, the sales director for a computer company might spend 10-15 hours a week on creating newsletters and pamphlets for a nonprofit organization. If, over several years, this individual has become adept at marketing and editing software, there is no reason that he could not seek employment with a graphics design firm that creates newsletters, annual reports, brochures, ads etc. If you can combine your passion for some area with your primary functional skills, that is even better. In the above example, the individual could seek a position as a designer or as a salesperson/director. In another example, a marketing director at a bottling factory always had a love of zoology. While she had no formal training in the area, she tried to stay up on trends and would even volunteer sometimes at the local zoo. After losing her job to downsizing, she decided to combine her skills in marketing with her passion for the zoo. She is now the director of community programming and fundraising at a major metropolitan zoo. Baby Boomers are likely to be extremely adept at industry switching because of their diverse backgrounds and the fact that they are better educated than previous generations. The first step will be getting over the anxiety associated with change. After that, the opportunities for further career development are endless.